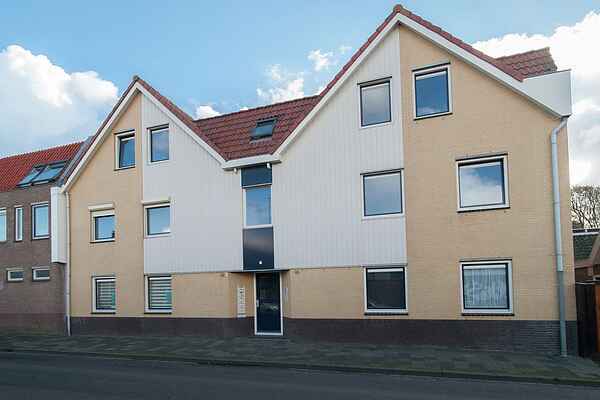 Zeerust is a large holiday apartment within walking distance of the beach of Egmond aan Zee. You also have the pleasant town center within easy reach. Relax and enjoy: this is your holiday motto. Also, you are close to the picturesque village of Bergen. All beds are made up at arrival. The apartment is comfortably furnished. There is a beautiful kitchen where under the spotlights, you can prepare the dinner of your dreams and there is also a delightful little bar along the kitchen island. Then there is a living room with a lounge sofa and a nostalgic picture of an Amsterdam canal hangs on the wall. The balcony of the resort faces south and here you can enjoy the sun all day while sipping a cup of coffee or perhaps in the evenings something stronger! Egmond has a real family beach that is no less than eight kilometers long so you can take long walks on the beach against the setting sun, while the children look for shells. In the surroundings of Zeerust, nature offers a varied landscape. The beautiful lighthouse is an attraction in itself. Also, the Slotkapel and the Abbey ruins are worth a visit. Also, the well known city of Amsterdam is easy to reach by train.